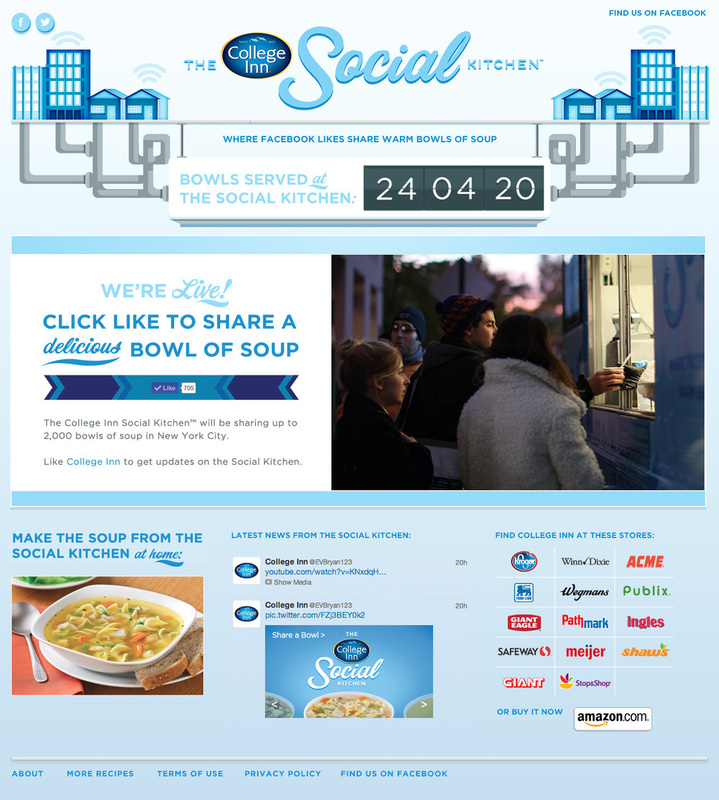 The Social Kitchen was the world's first Like-Powered soup kitchen. We built it for College Inn broth. The idea was simple: let the world serve a warm bowl of soup to a homeless person in NYC with the simple LIKE on Facebook. This was the most successful work College Inn has produced to date.